This entry was posted in COOL VIDEOS in Sports, Recreation,Technology, Art, Comedy &Inspirational on August 31, 2014 by Editor. This entry was posted in COOL VIDEOS in Sports, Recreation,Technology, Art, Comedy &Inspirational, Doctors Speak Out, Government experimentation on the public, Vaccine Injection Room on August 30, 2014 by Editor. This entry was posted in Pregnancy and birth on August 29, 2014 by Editor. VLA Comment: Imagine that…not doing any studies (like the never vaccinated vs. the fully vaccinated) when Autism has climbed from 1 in 10,000 to 1 in 68″. This entry was posted in Articles & Breaking News, Pregnancy and birth, Vaccine Injection Room on August 29, 2014 by Editor. Some very damning evidence has come forward that the ingredient triclosan, originally registered as a pesticide but used in more modern times in a wide array of hygiene products, is an endocrine disruptor that may also cause other health issues like cancer, thyroid dysfunction, and infertility just to name a few. Triclosan in many products such as anti-bacterial soap, etc. This entry was posted in Diet and Nutrition, Liberty & Freedom Room, RESEARCH, STUDIES, DOCUMENTATION on August 29, 2014 by Editor. The U.S. health care system is shamefully inefficient: Out of 28 developed countries, the U.S. has both the highest health care cost and the lowest life expectancy. This entry was posted in Medical information and Research Data, RESEARCH, STUDIES, DOCUMENTATION on August 28, 2014 by Editor. American children are the most highly vaccinated children in the world. In 1979, children were immunized against seven infectious diseases before 6 years of age; today, they are immunized against fifteen, most by the age of 2, and more vaccines are slotted to be added to the existing schedule. Some parents are concerned about the number of vaccines required of children today and are asking that more research be done to establish safety and efficacy. While much of the vaccine controversy has circled around the dangers of thimerosal, (the mercury preservative used in virtually all vaccines before 2000), its removal from most vaccines (the notable exception being the flu vaccine) has complicated the vaccine controversy. Many parents of children with regressive-type autism (autism that was late-onset, as opposed to at birth) argue that vaccines were responsible for their child’s regression into autism. Unaware of how vaccines work, or unsure of how vaccines could cause autism, many parents blamed the small amounts of mercury in the vaccines (which, cumulatively, is not such a small amount after all) for their children’s condition. This entry was posted in Government experimentation on the public, Medical information and Research Data, MERCURY/Thimerosal, Pregnancy and birth, RESEARCH, STUDIES, DOCUMENTATION, Vaccine Injection Room on August 27, 2014 by Editor. Gary Franchi interview with Mike Adams, Natural News. Gary Franchi of WHDT TV interviews investigative reporter Mike Adams regarding CDC’s damning coverup of the MMR vaccine causing autism, including producing the 2004 letter CDC epidemiologist Wm. 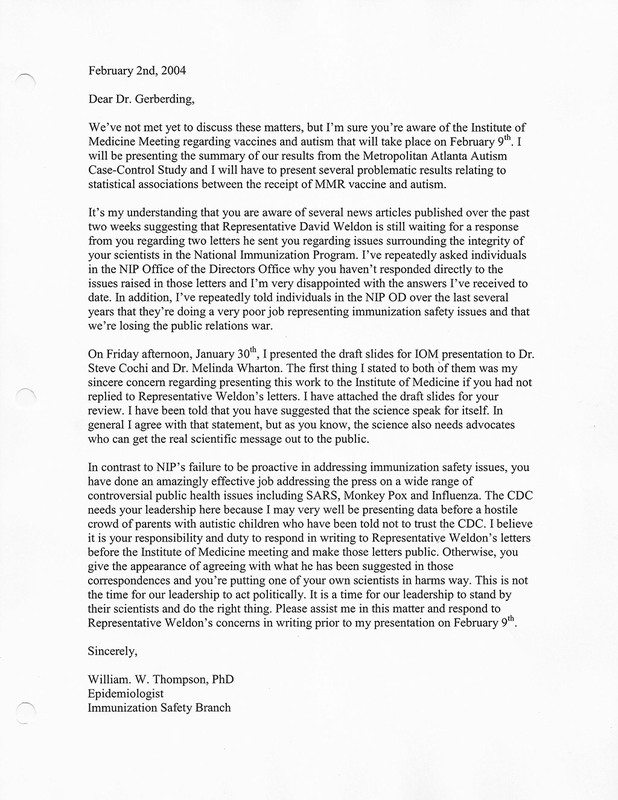 Thompson, PhD sent the then head of CDC–Dr. Julie Gerberding, MD, MPH, who since has become the President of Vaccines at Merck, about the problems with vaccines, plus the PR war about vaccine ‘safety’. This entry was posted in NEWS on August 27, 2014 by Editor.